Before you dig into these natural therapies for stroke, be sure to check with your doctor about the changes you may be about to make to your recovery regimen. These remedies may work well for some people, but they may interfere with pre-existing medical conditions that you have or medications you’re taking. That’s why you should always consult a professional. With that being said, let’s dig into the natural remedies you can try for stroke recovery. Spasticity is a post-stroke side effect characterized by stiff, tight muscles. Western doctors often treat spasticity with Botox or medication – or both. While Botox and medication can help ease the symptoms of spasticity, they don’t treat the root cause. A natural remedy that reverses spasticity long-term is rehabilitation exercise. Repetitive exercise will help rewire the brain by sparking neuroplasticity. 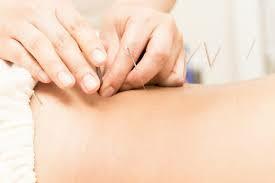 There are times when acupuncture can help relieve post-stroke pain naturally. While some patients diagnosed with stroke see great results from acupuncture, others don’t see anything. So, if you decide to try it, you can set your expectations low. Furthermore, there are some acupuncturists who are better than others. If you don’t see the results, you may want to try another practitioner before giving up the thought. 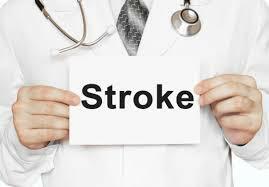 Did you know that you can naturally prevent stroke with healthy food? Well, it’s true. Healthy food is also helpful for recovery from stroke by providing your brain with the right fuel. 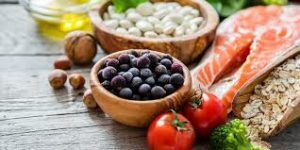 Some of the best foods for stroke recovery are lean fish, blueberries, pomegranates, tomatoes, nuts, seeds, avocados and beans. First, meditation for stroke recovery has been proven to help ease depression, improve information processing and help relieve tiredness and fatigue. Second, probiotics have been shown to significantly improve the signs of depression. That’s why it’s one of the best supplements for recovery from stroke. Lastly, a great way to help improve your signs of depression after stroke is by rewiring the brain for it to be happier. These are just some of the homeopathic remedies and the like that you can try out when it comes to recovering from a mild stroke, or even for the prevention of such. Just remember to not waste time and go to a hospital when you feel the symptoms of a stroke. Just because there are natural remedies available for the said condition, it doesn’t mean you shouldn’t see your doctor every now and then.